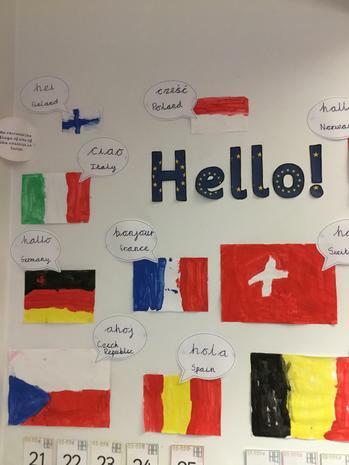 At St Georges we aim to prepare our children to grow up to be valued members of society, who have a sense of community and who understand their roles and responsibilities as members of that community. 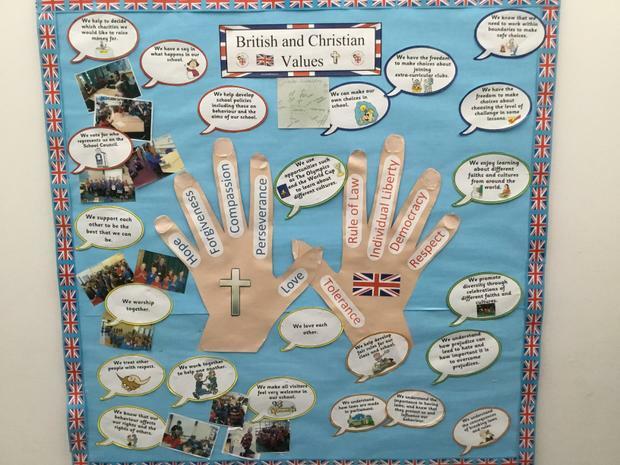 We believe that the British Values and are Christian values are very closely linked, and we encourage children and staff to follow these values both within and outside of school. 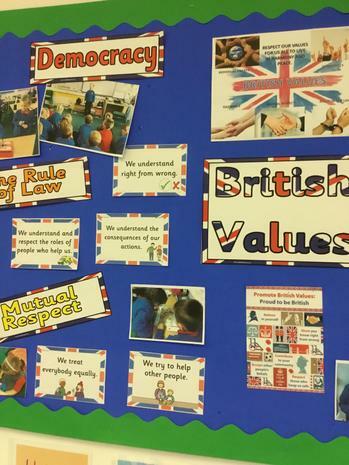 How do we promote the British Values at St Georges? Our School Council pupils are democratically voted in by class members each year. Children are also voted in as Eco-Council members each year. Children are frequently given the opportunity to debate within class and vote on class decisions. We reinforce morals, values, rules and laws as an integral part of our learning, ensuring our children become law abiding citizens. 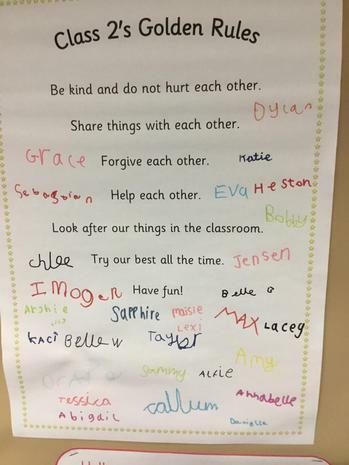 Classes agree their own class rules at the start of the academic year. All staff are role models for our children and the expected behaviour is always visible. We have a whole school policy for dealing with behaviour, and everyone is expected to follow this. E- Safety is taught in every year group. We actively encourage children to make learning choices, knowing that they are in a safe and supportive environment. 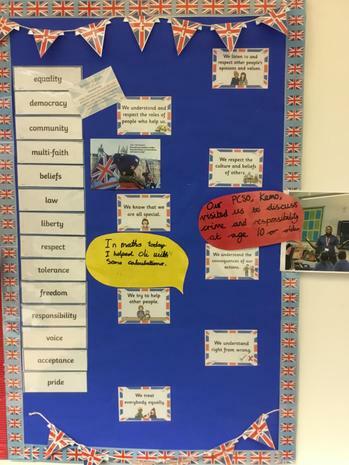 The pupils are encouraged to take responsibility for their behaviour, as well as knowing their rights. All adults and children are expected to show respect to each other both in and out of school. The school's RE curriculum studies a wide variety of religions to enable children to gain understanding of the beliefs of others. We use opportunities such as the Olympics and news events to study and learn about life and culture in different countries.